Announcing The Greatest Film I’ve Never Seen Blogathon! 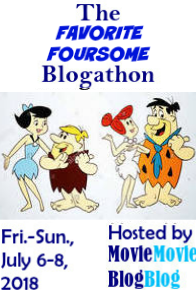 Time for a new blogathon! Recently, there was a Twitter thread asking people what great (or considered “great”) film they had never seen. I thought, what an awesome subject for a blogathon! No matter how much we love films, and no matter how many we have seen, there are always gaps in our film viewing, especially when it comes to the so-called essentials. So I … Continue reading Announcing The Greatest Film I’ve Never Seen Blogathon!